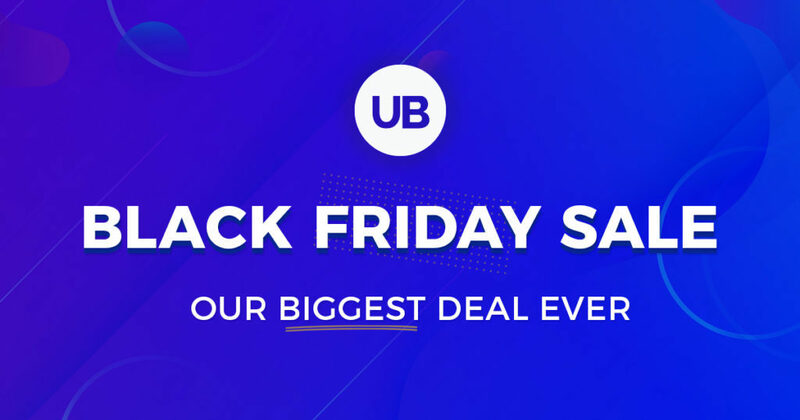 Ultimate Addons for Beaver Builder - Grab the Biggest Black Friday Discount Ever!  Black Friday Sale Starts Now! We want you to get the most value possible from our BIGGEST DISCOUNT of the year. And it’s not just a sale, either! We also have an awesome giveaway where you can get a chance to win an all-new MacBook Air 2018! I’m sure you like the most recent UABB modules like the Table, Video Gallery, and the fastest Video module. Keeping user requirements in mind, we also introduced the WooCommerce modules which have made UABB an all-in-one and most used addon for Beaver Builder. Starting today we are offering up to 30% OFF on all new purchases and upgrades! This is a once in a year and limited time offer and you might not see it again until next year. Upgrade to Mini Agency Bundle! The Astra theme and Astra Pro addon: The Astra Pro addon enhances the capacities of the theme. Astra Premium Sites: 50+ professionally designed ready-to-use website demos (created with Elementor or Beaver Builder – your choice) that can be imported, tweaked and used directly. Ultimate Addons for Beaver Builder: The best Beaver Builder addon that gives you 45+ advanced modules and 300+ page and section templates. WP Portfolio: An advanced portfolio plugin that lets you showcase your work – websites, videos or images – in a beautiful portfolio on your website. Upgrade to the Mini Agency Bundle with 30% OFF now! Upgrade to Agency Bundle ! Everything from the Mini Agency Bundle: The Astra theme, the Astra Pro addon, Ultimate Addons, Astra Premium sites and WP Portfolio along with the following plugins. Ultimate Addons for Elementor: A growing library of unique and creative Elementor widgets to take your page building experience to the next level. Convert Pro: An advanced lead generation WordPress plugin that lets you create call-to-actions like modal popups, slide-ins, etc. to build email lists, promote videos, offers, etc. Schema Pro: An advanced schema markup plugin that helps you automatically add accurate schema markup on your website. Upgrade to the Agency Bundle with 30% OFF now! …And win a chance to own an all-new MacBook Air! Beyond the discounts, we have an ongoing giveaway in which you can participate for free! Grab more points and win a chance to get an all-new MacBook Air for free! Excited??? We are too and we can’t wait for you to make the most of our biggest sale and the awesome giveaway, too! Have any further questions about this? Please feel free to get in touch!